Dogtra is a world leader in electronic dog collars. Focusing on durability and superior electronics, Dogtra electronic dog collars are designed for all sporting breeds. 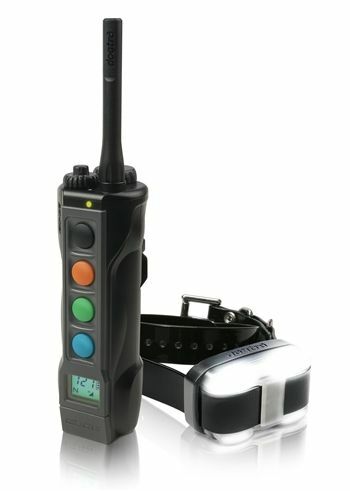 Dogtra Collars offer the following standard features; Nick and constant stimulation modes, Pocket-sized transmitters that feature user-friendly controls, Digital electronics and long-lasting rechargeable Ni-MH batteries, Waterproof transmitters (2000/1200 series), Non-exposed collar antennas. Some dog training shock collars even offer a vibrating pager mode - a non-electric stimulation. Click here for our Dogtra Electronic Dog Collars - Comparison Chart. The Pro Line Series Dogtra Collars are the top-of-the-line models and a pure workhorse of electronic dog training collars. These Dogtra collars have been designed to deliver top quality that demanding gundog trainers look for and fits the needs of the hunter in the field. All of Dogtra's Pro Line training collars have a built-in battery meter. 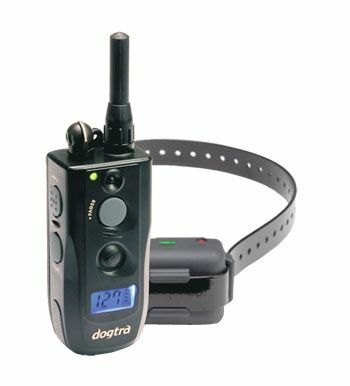 The Dogtra 3500NCP model offers a one mile range, while the Dogtra 2300NCP collar offers a 3/4 mile range. 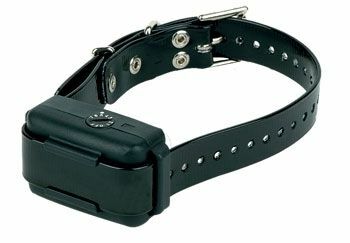 Stimulation may be applied either as "Constant", "Nick" or via the patented "Pager" vibration feature found on these collars. These Dogtra collars feature a waterproof receiver/transmitter along with long-lasting rechargeable Ni-MH batteries. These features, along with industry-leading durability, make Dogtra collars the choice of professionals around the world. The Field Series Dogtra collars are built with the same quality as the Pro Series but with some slight changes that make it more affordable. The Dogtra 1900 Series have been built to work at a maximum of a 1/2 mile range and the transmitter is water resistant for moderate use in the field. This collar was designed based on feedback from the sportsmen and trainers that did not need the full 1 mile range of the Pro Series models. The Dogtra 1800NC collars are designed for Beagle and Hound owners who need a dependable long-range training collar to control a number of dogs in the field at once. 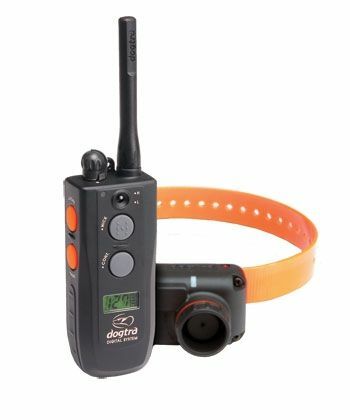 These Dogtra collars feature a waterproof receiver/transmitter along with long-lasting rechargeable Ni-MH batteries, and a one-mile plus range. These features, along with industry-leading durability, make the Dogtra 1800NC Pack Trainer... The leader of the pack. Dogtra's Obedience / Service K9 Series has been designed specifically for trainers looking for a quality obedience / service K9 training system. These collars have been designed for the trainer looking for a low-profile system which makes them perfect for small to medium size breeds. 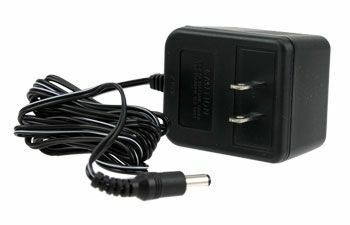 Dogtra uses the same type of stimulation in their Pro Series; Nick, Constant and their patented “Pager" functionality. 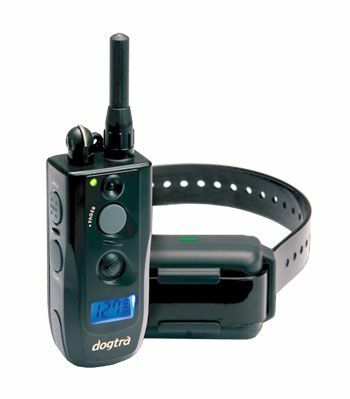 The Dogtra Obedience line has fully rechargeable, user replaceable Ni-MH batteries in both the collar and transmitter which will provide years of service. All Dogtra collars in this line have a water resistant transmitter and a 100% waterproof collar making it suitable for use in the field. These collars are perfect for the obedience trainer looking for a reliable collar or the sportsman that is looking for an entry level collar for the occasional day in the field. 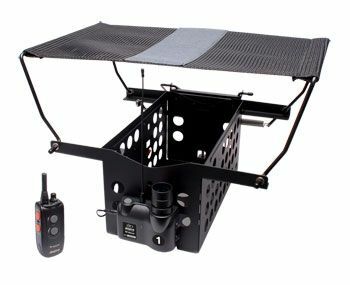 Dogtra Bird Launchers and Remote Release Systems are a necessity for the serious dog trainer. These high quality, durable pieces of training equipment are a great tool when training your dog to flush birds instead of giving chase to rising birds. They feature excellent airflow for easy scenting, quiet opening, adjustable spring tension to adjust the height of the throw, and a horn that can be activated from the remote. The locator horn allows for you or the dog to quickly locate the launcher in heavy cover or at a distance. Dogtra Beeper Collars are designed with the sportsmen in mind. Whether you are looking for a combination train and beep or just a beeper collar, we have a model that fits your needs and quality standards. Dogtra Yapper Stoppers work exactly as their name states. This recharable suite Dogtra bark collars comes in 2 models, The YS-500 for larger breeds and the YS-200 for smaller breeds. Yapper Stoppers have 7 levels of correction, are 100% waterproof and come with a1 year manufacturers warranty. If you are looking for a recharble collar Dogtra backs their product with a 30 Day MONEY BACK guarantee. If the collar does not work Dogtra wants to know about it .